Adam, 20, went missing from his home address in Marshside, near Southport, on Thursday 9th August last year. 13 year old Kaycey Smith was last seen on the evening of Tuesday 16 October - at around 6pm in the Hart Street area. The 27 year old made Ryder Cup history by winning the first four matches of his debut in the competition. Southport golf star Tommy Fleetwood will face USA legend Tiger Woods in the opening fourballs at the 2018 Ryder Cup in Paris. Police are appealing for drivers who used a Southport car park to study dashcam footage in the search for missing Adam Seaton. Police are asking for help to find a missing 19 year old. Adam Seaton was last seen in Southport on Thursday. When last seen he was wearing a burgundy tracksuit top with ‘France’ embossed on the arm, black and white T-shirt, blue jeans and burgundy Puma trainers. Anyone who has seen Adam or knows of his whereabouts is asked to contact Merseyside Police. 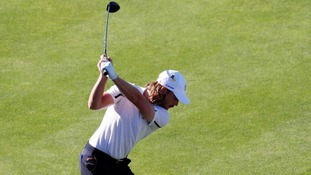 Southport's golfing star Tommy Fleetwood got a shock when his winnings from the Open got paid into the account of the wrong Tommy Fleetwood. A 'despicable' care home owner who stole millions of pounds from elderly residents has been jailed for 21 years.